No two snowflakes are the same (so they say), and no two homes have the same heating and cooling preferences. But now there’s a thermostat that learns all about your personal preferences and creates a program that’s uniquely comfortable and efficient for you. A Nest Learning Thermostat is a smart thermostat — aptly named because it literally learns your habits and incorporates your personal preferences. It “learns” to develop a schedule, based on those preferences: when you’re not at home, it adjusts the temperature; and when seasons grow warmer or cooler, it figures that out as well. It utilizes data received from inside (how the house temperature responds to your HVAC system), from outside (the weather and humidity), and from the internet (weather conditions and temperatures from area weather stations). Nest thermostats also employ software to understand how a specific house warms up and cools down. They also learn to predict the temperature that will be needed in order to provide maximum comfort and energy efficiency. After one week of use, the thermostat will program itself. HVAC Control 2.0 is a new feature for Nest thermostats that improves on the way it decides when and how long to run the HVAC system for. Traditional thermostats work by setting a maintenance band around a set point temperature (+/- .05° F), running the AC until the temperature hits the low end of the maintenance band, then keeping it off until the temperature reaches the high end — and vice versa for heating. The downside is that these maintenance bands are fixed for every house, whether it’s new, old, well-insulated, leaky, etc. The maintenance bands are applied to every house, regardless of whether that particular house is leaky or well insulated, or how efficient the system is. HVAC Control 2.0 takes advantage of the Nest technology to customize the control of the heating and cooling system for each individual home, improving efficiency and comfort for users. 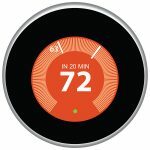 Nest learning thermostats can provide a uniquely tailored level of comfort while at the same time obtaining significant savings for heat pump systems when compared to traditional controllers. A learning thermostat can also serve as your personal guide to more energy savings, providing data so you can monitor your expenditures. It shows how much energy you use every day (Energy History) and every month (Home Report). You can track when you use more energy, and when you use less. Independent studies show that Nest thermostats save people up to 12% on heating bills and 15% on cooling bills, paying for itself in under two years. 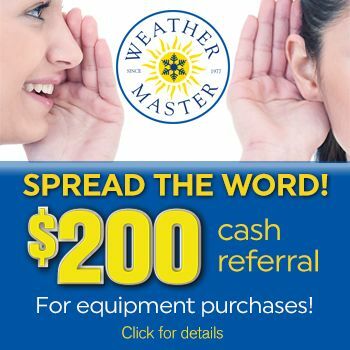 Talk with a comfort specialist at Weather Master to find out more about Nest Learning Thermostats and how they can not only make your life easier, but provide you with significant savings of money and energy over time.